LIETTE, PIERRE-CHARLES DE (di Lietto, Deliette, Desliettes), aide to Henri Tonty, commandant at Fort Saint-Louis and Chicago, captain in the colonial regular troops; fl. 1687-1721. The precise dates of de Liette’s birth and death are not known; moreover, there is no record of a marriage. He was of Italian descent and a cousin of Henri and Alphonse Tonty, whose mother’s name before her marriage was di Lietto. His parents possibly moved to France around 1650 with the Tontys, who fled there after taking part in an unsuccessful rebellion in Italy. De Liette probably immigrated to New France with his cousin, Alphonse, in 1685. De Liette’s 15 years of service under Henri Tonty began with his arrival at Fort Saint-Louis at Le Rocher (Starved Rock) in 1687. The following year he accompanied a band of Illinois on a buffalo hunt in order to familiarize himself with their language and customs. In a memoir which he wrote at a later date, de Liette explained that his “great youth” at the time of this hunt was to his advantage, as he experienced little difficulty in adjusting to the new environment. Within three years, Tonty was sufficiently satisfied with the progress of his cousin to entrust him with the command of Fort Saint-Louis and later to appoint him to supervise the resettlement of the Illinois. When in 1692 the fort was evacuated, both the garrison and the Illinois village were moved to a new location at Pimitoui (now Peoria). De Liette must have acquitted himself satisfactorily in these duties, for he served as interim commandant at Chicago, where Tonty maintained a warehouse, and at Fort Pimitoui (sometimes also called Saint-Louis) until 1702. In that year Henri Tonty and François Dauphin de La Forest retired from the Illinois country with their garrison. However, because the Indians of that area were too important commercially and militarily to be abandoned to their own devices, de Liette remained among them as a lonely agent of French influence. When he returned to Montreal in 1711 he enjoyed great prestige in the councils of the Illinois. In 1712 the entire French western alliance system was threatened with destruction by the outbreak of the Fox war. It was imperative that the Illinois and Miamis remain at peace with each other within the French sphere of influence, as their geographical location rendered them vulnerable to both the English and the Foxes. 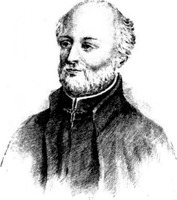 Accordingly, Governor Rigaud de Vaudreuil complied with the recommendations of missionaries stationed among the Illinois and with the requests of an Illinois chief, Chachagouesse, and dispatched de Liette to nullify English trade overtures to the Illinois, and to discourage war with the Miamis. Relations between the two tribes, however, deteriorated in 1713 when the Miamis conducted a surprise attack on the Illinois. The following year, New France’s hold on their allegiance was again threatened when both tribes encountered the English of Carolina. Such a development was of great significance to the colony, as Vaudreuil was hoping to enlist 1,500 Illinois and Miami warriors in the war against the Foxes. 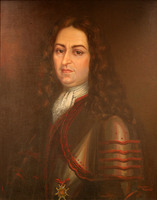 Fortunately, de Liette’s long association with the Illinois tipped the scales in favour of New France, and in 1715 he was able to return to Montreal, having successfully completed his assignments. This visit was a short one. Early in 1716, Governor Claude de Ramezay of Montreal sent de Liette back to re-establish the old fort Saint-Louis at Starved Rock, and to maintain peace in the area. When the Illinois country was annexed to Louisiana in 1717, de Liette was still labouring in the French interest among the Indians. 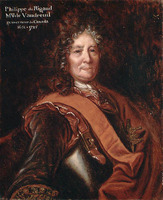 He was commissioned captain in the Louisiana regular troops in 1720, but almost immediately resigned from this position and returned to Montreal. A notarial deed, signed 9 June 1721, on the eve of his departure for the west, is the last positive record of Pierre-Charles de Liette; afterwards, the documentary evidence becomes fragmentary and, to a degree, contradictory. Charlevoix* claimed that de Liette died among the Natchez, some time before December 1721. He may have been mistaken, however, since a de Liette served in the Natchez and Illinois areas between 1722 and 1728. Was this Pierre-Charles? Perhaps, but he may also have been a son of Alphonse Tonty (other than Charles-Henri-Joseph Tonty*, Sieur de Liette, who was active in the west after 1728); or again, just as François-Marie Bissot de Vinsenne and Philippe-Thomas Chabert* de Joncaire replaced their fathers among the Miamis and Senecas respectively, it is possible that a son of Pierre-Charles, perhaps from an Illinois mother, replaced him among the Illinois. During one of his visits to Montreal de Liette wrote the “De Gannes Memoir,” preserved in the Ayer Collection, Newberry, Library, Chicago. Although someone named De Gannes signed the memoir, internal evidence alone proves de Liette’s authorship. Almost 50 printed pages in length, this document is a valuable account of the Illinois and Miami Indians, and of the country in which they lived. Furthermore, it provides the reader with an itinerary of de Liette’s early years in the west. Except for an occasional visit to Montreal, Pierre-Charles de Liette had spent his entire adult life in the west, arbitrating intertribal disputes and helping maintain the connection between New France and the Illinois Indians. Although material on his career is relatively scarce, what there is suggests that he did his work well. AJM, Greffe d’Antoine Adhémar, 18 août 1692, 11 août 1700; Greffe de Jacques David, 9 juin 1721. AN, Col., B, 42, ff.337v–38, 381v–82; 43, f.47, 461; 48, f.741; C11A, 33, pp.85–91, 164–66; 34, p.305, 356–57; 35, pp.37–39, 150–55; 40, pp.23–24; 42, p.21, 61–68; 48, p.332, 336; 51, p.169; C11G, 1, p.95 (PAC transcripts); C13A, 1, f.27; 7, ff.73v–74, 124, 173, 307v, 311; 11, ff.89v–96v. 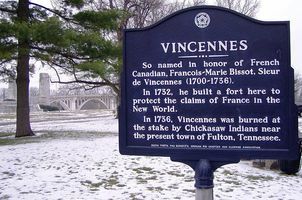 ... Charlevoix wrote in his Histoire (1744), IV, 235, that when he reached the Natchez at the end of 1722, de Liette was dead; this is an error, as letter 30 reproduced in VI, 165–91 shows that Charlevoix reached Natchez at the end of 1721. “Correspondance de Vaudreuil,” APQ Rapport, 1938–39, 133, 152; 1947–48, 225, 230, 291. Découvertes et établissements des Français (Margry), III, 495. “Memoir of De Gannes concerning the Illinois country,” Ill. State Hist. Lib. Coll., XXIII, 302–95. NYCD (O’Callaghan and Fernow), IX, 865. Wis. State Hist. Soc. Coll., XVI, 300–7, 332–33, 378. Tanguay, Dictionnaire.. ... Sister Marie Celeste, “The Miami Indians prior to 1700,” Mid-America, XVI (1933–34; new ser., V), 225-34. Jean Delanglez, “The voyages of Tonti in North America 1678–1704,” Mid-America, XXVI (1944; new ser. : XV), 255–300. Sister Mary Borgias Palm, “Kaskaskia, Indian mission village, 1703–1718,” Mid-America, XVI (1933–34; new ser., V), 14–25..
C. J. Russ, “LIETTE, PIERRE-CHARLES DE,” in Dictionary of Canadian Biography, vol. 2, University of Toronto/Université Laval, 2003–, accessed April 26, 2019, http://www.biographi.ca/en/bio/liette_pierre_charles_de_2E.html.